Stonegate Apartments is conveniently located in Broomfield, CO. Our 11815 Ridge Pkwy location is ideal for University of Colorado, Boulder students and just minutes from everywhere you want to be such as AMC Theaters, Flatiron Crossing Mall, and Omni Interlocken Resort & Golf Course with easy access to Interstate 36 and Highway 93! 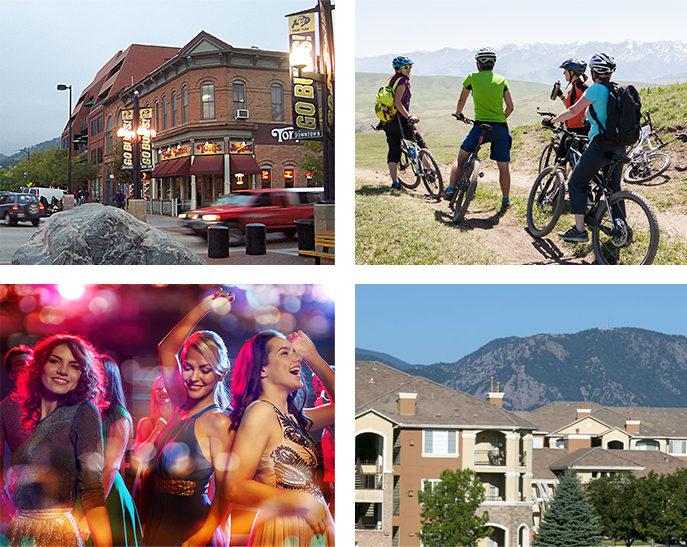 Our close proximity to Boulder Flatirons and 1st Bank Center make us one of the top locations in Broomfield! Luxury Apartments In Broomfield Near…Everything! As far as conveniently located apartments in Broomfield are concerned, it’s hard to beat everything that Stonegate Living offers. Throw in a pet-friendly environment (both cats AND dogs!) and numerous utilities and amenities to make every day feel like a resort vacation, and what you have is the ultimate living situation. If you haven’t signed on with us yet, what are you waiting for? Contact the Stonegate Apartments today about our luxury Broomfield apartments and enjoy the best that Colorado living has to offer!